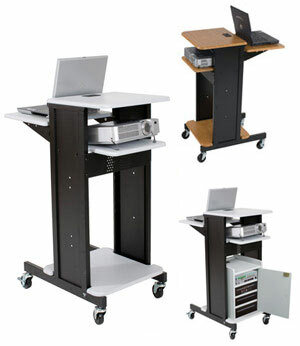 The Sit-Stand Projector Cart by Balt features a laptop shelf that adjusts 19" to 39-1/2"H in 1-1/4" increments. Grommet holes manage cords between shelves for projectors or other media equipment. Optional 7-outlet electrical assembly with 25 foot cord allows you to plug all components into one strip and run only one cord to an electrical outlet. 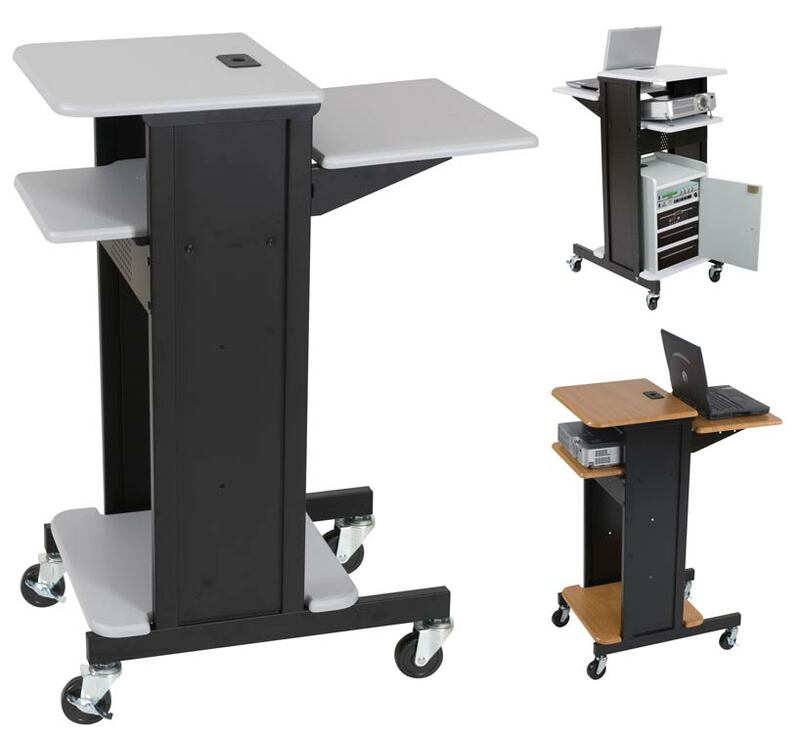 Cart add-ons are also available, such as a locking security cabinet and an optional equipment shelf. Choice of gray laminate or teak laminate, both with black frames.